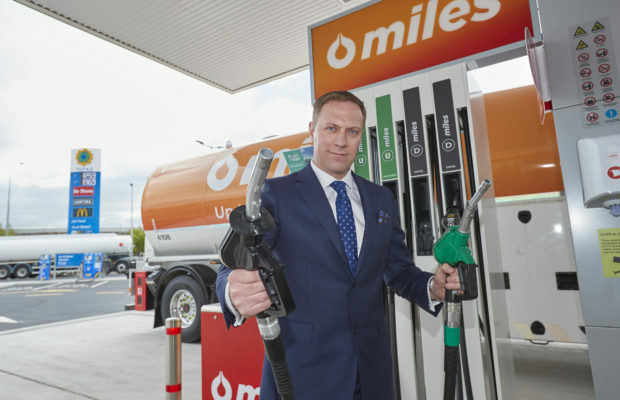 Ireland’s Forecourt & Convenience Retailer speaks to Topaz Fuel Director Gordon Lawlor about the company’s new fuel additive & fuel brand, miles. Up to 3% further – that’s the promise of Topaz’s new fuel brand, miles. 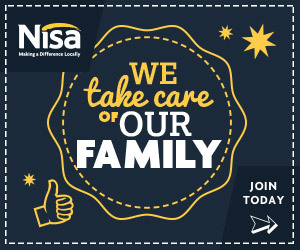 Their next generation fuel contains a unique blend of additives developed to take Irish motorists further, take care of their engines, and help engines run smoother and cleaner throughout regular use. The rollout of the fuel brand began in Ireland this year, featuring in Topaz’s new motorway forecourt Junction 5 M9, complete with new livery, new state of the art branded tankers, POS, and media campaign. 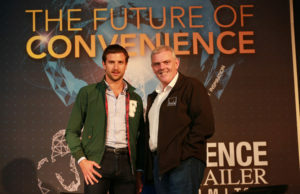 The fuel is part of a four-pronged revamp of the Topaz offer, as part the Irish brand’s integration with Circle-K. Along with the miles fuel brand, Topaz customers will see a new carwash, the new Simply Great Coffee proposition, and an updated food offer, as it realigns into the world famous Circle-K format. 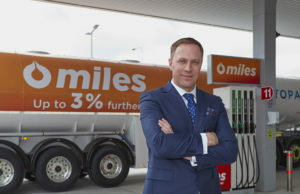 “Miles is our new fuel offering, being rolled out across all Topaz sites in Northern Ireland and the Republic of Ireland over the next few months,” said Topaz Fuel Director Gordon Lawlor. Speaking to Ireland’s Forecourt & Convenience Retailer, the Topaz fuel director said the new fuel additive had been developed by Circle-K over the last number of years, and was already available across Scandivinia, Baltics and Poland. He said the formula was superior to the existing Topaz additive, which itself had won over customers with its promise of better performance. Gordon explained that the miles unleaded additive package includes, amongst other things a friction modifier. In petrol engines over 25% of the fuel burned is to overcome metal to metal friction. Our friction modifiers act as an additional lubricant in the engine & reduces fuel consumption. Its benefits are immediate from the first tankful, with optimum benefits arising from continuous usage. For diesel customers our new & improved additive package prevents the build-up of deposits & optimises combustion. Going further on the same amount of fuel contributes to reducing our impact on the environment. Topaz has also worked hard to back its claims by testing the new fuel not only a step further than most, but miles further. We’ve spent a lot of money and time testing the fuel to make these claims,” Gordon said. He explained testing was carried out and verified by an independent automotive research & development institute, BOSMAL. Over 120,000 miles of stress testing, lab experiments, and real world driving, vehicles fuelled with miles were examined using strictly defined methods under the New European Driving Cycle (NEDC) and the Worldwide harmonized Light vehicles Test Cycles (WLTC), pushing the emissions and fuel consumption claims to the limit. The fuel has also been given the backing of the AA in Ireland, which has given its official ‘Quality Approved’ endorsement to the product. 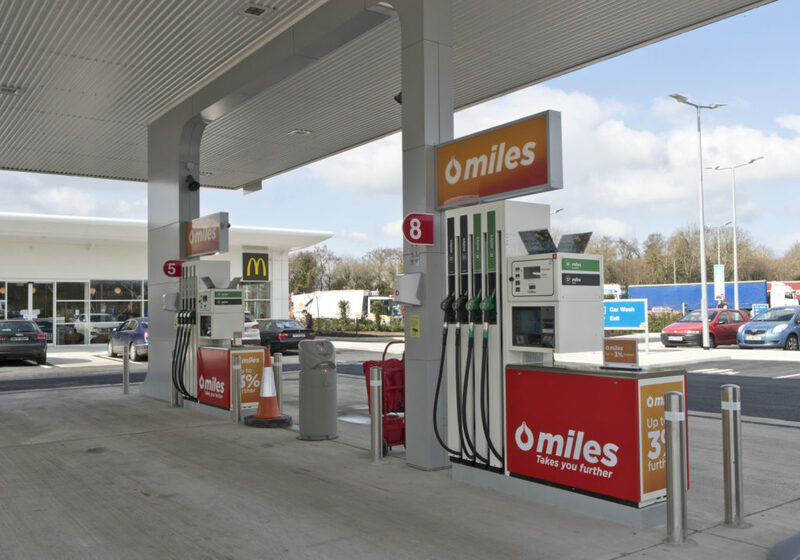 After successfully completing the rigorous fuel testing, Topaz is now ready to shout about miles with an ambitious rebranding programme that started in earnest in April with the opening of the impressive Carlow motorway service station. 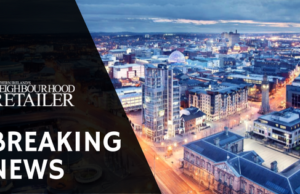 Even more impressive is the timeline Topaz has given itself to complete the product’s installation across the island of Ireland, with the rebranding rollout scheduled for completion this August across over 400 sites. The ‘3% further’ message will soon be a familiar sight at Topaz fuel stations across Ireland north and south and, according to Gordon, it will represent a major change for consumers. ‘At Topaz we are committed to being at the forefront of innovation in fuel. The introduction of our next generation additive, miles is another great example of Topaz leading the industry in Ireland. 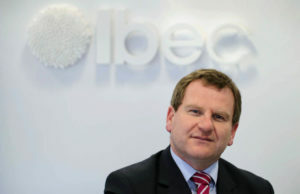 We are constantly looking for ways to enhance our customers experience & we are currently working on a pipeline of new initiatives that we will bring to the Irish market over the coming months’.